New wholesale company launched by Poundworld Retail Ltd’s ex co-founder and trading director joins Capitol Park, Barnsley. Gem Imports has recently completed its move to a new 75,000 ft logistics facility at Capitol Park, next to junction 37 of the M1 in Barnsley. 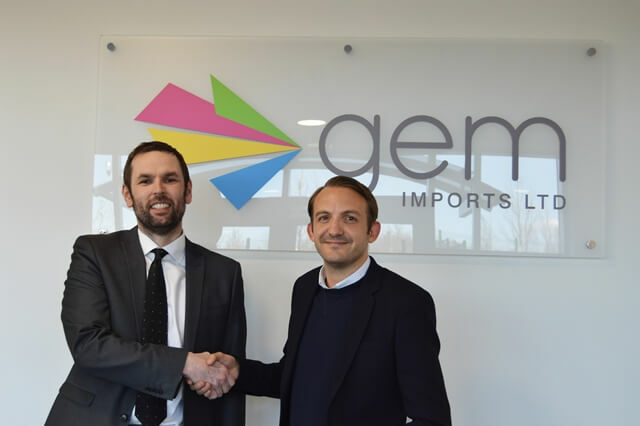 Gem Imports is a new wholesale company that specialises in Far East sourcing, supplying over 1,000 products to UK and EU markets via its website and purpose-built showroom. The company is run by co-founder and ex-trading director at Poundworld Retail Ltd, Christopher Edwards Junior and will sell to a wide range of customers including national retailers, online retailers, eBay and Amazon sellers, market traders, independent shops, cash and carry and commercial sectors. Edwards is passionate about trading and has worked in the imports field for over 17 years since he co-founded one of the UK’s biggest retail chains, Poundworld Retail Ltd, after leaving school at the age of 16. The new facility, built to a high specification by Marshall Construction, has a purpose-built showroom, design studio and sourcing office. Gem Imports is utilising this to showcase its diverse range of everyday and seasonal products and provide a full in-store experience for potential suppliers. Now operational, the company has recruited 20 staff and expects to grow rapidly providing a first-class service to its customers. The company has been supported by Barnsley Council’s Enterprising Barnsley investment team, who have provided help and advice alongside specialist business coaching. Managing Director Christopher Edwards said: “We have appreciated the help provided by Barnsley Council to support our investment and we look forward to working with them in the future. “Gem Imports offers unrivalled wholesale prices, profit-generating merchandising solutions, ethical sourcing and valuable retail advice and guidance. We have a huge high-quality product range with new lines arriving weekly. I’m using my own retail experience to supply profitable, high margin products and to develop up and coming trends and craze lines to other retailers.